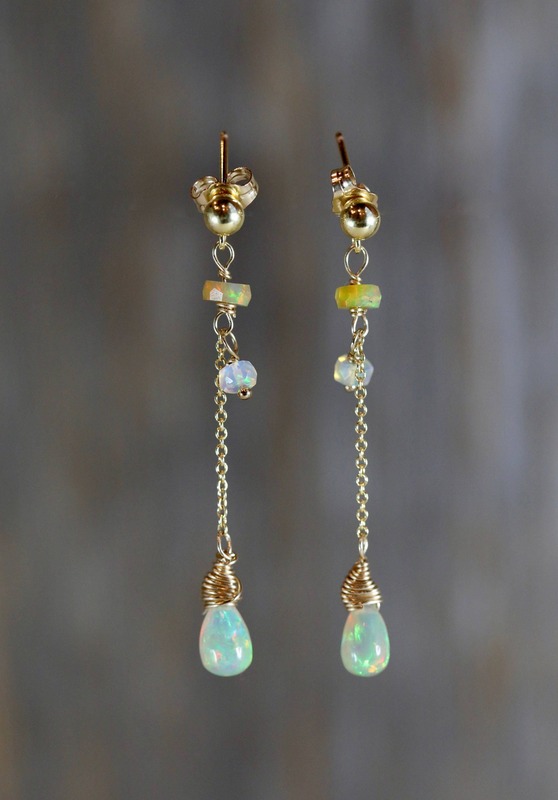 These are fine gem quality Ethiopian White Natural Opal Teardrop Earrings with white opal roundel accents. 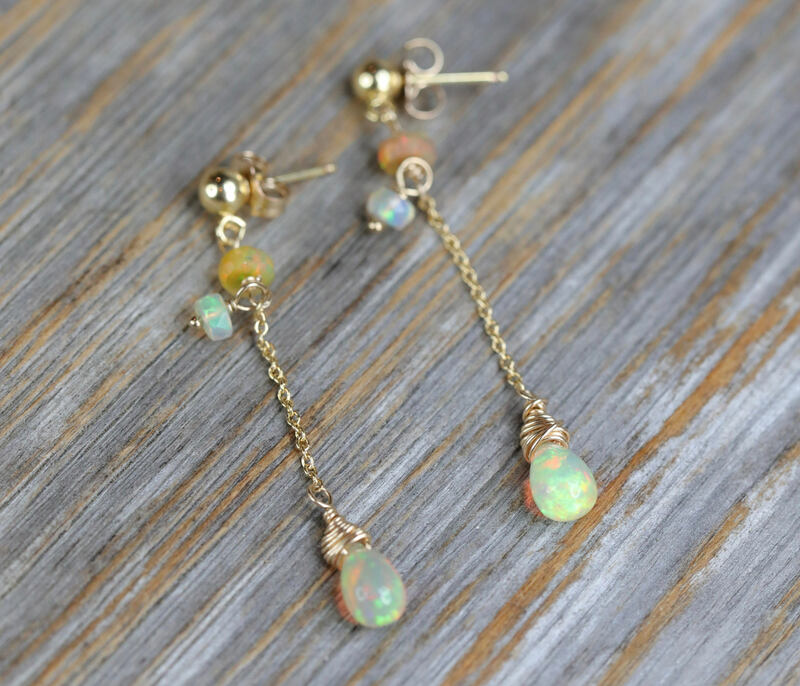 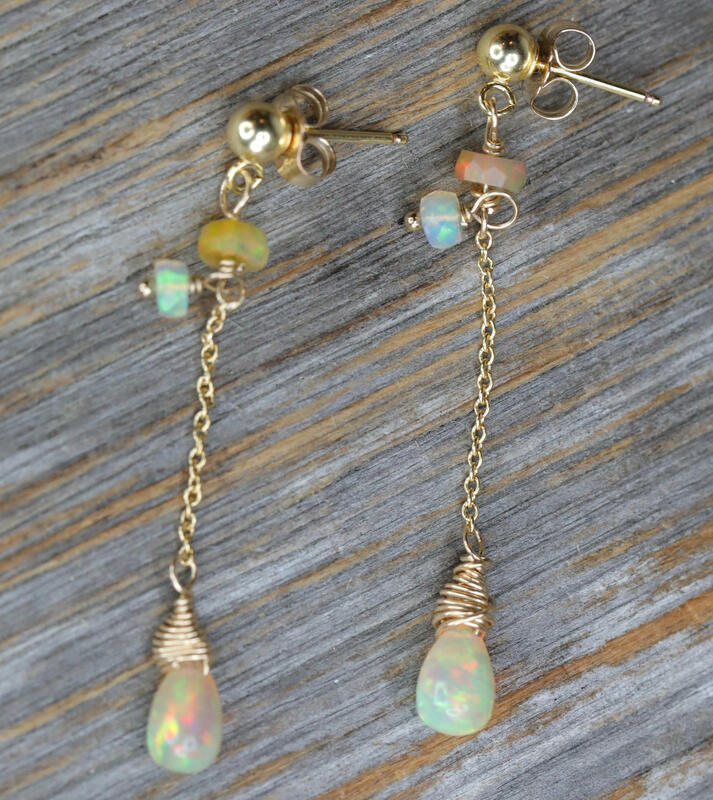 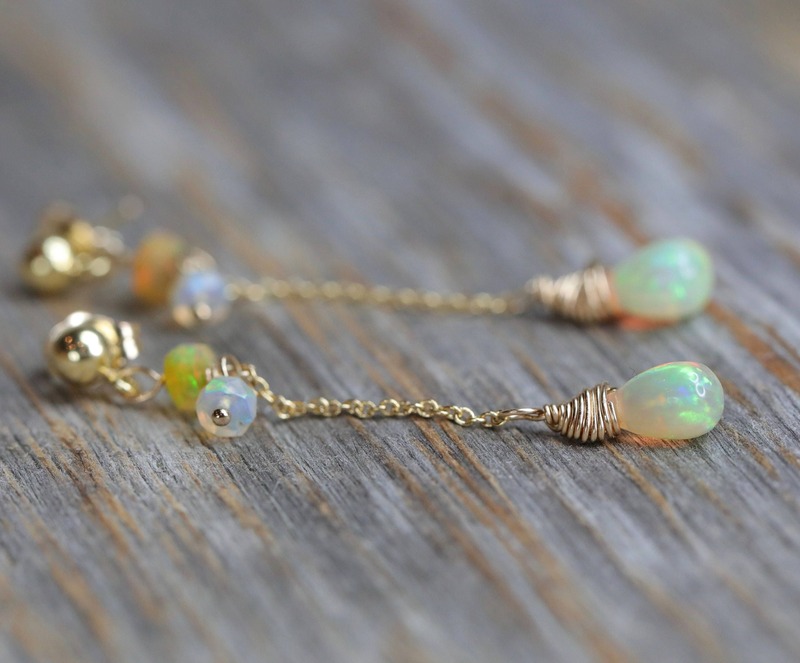 The gorgeous teardrop briolettes are hand wire wrapped and hang from 14K gold filled Studs with faceted gem quality opal accents. 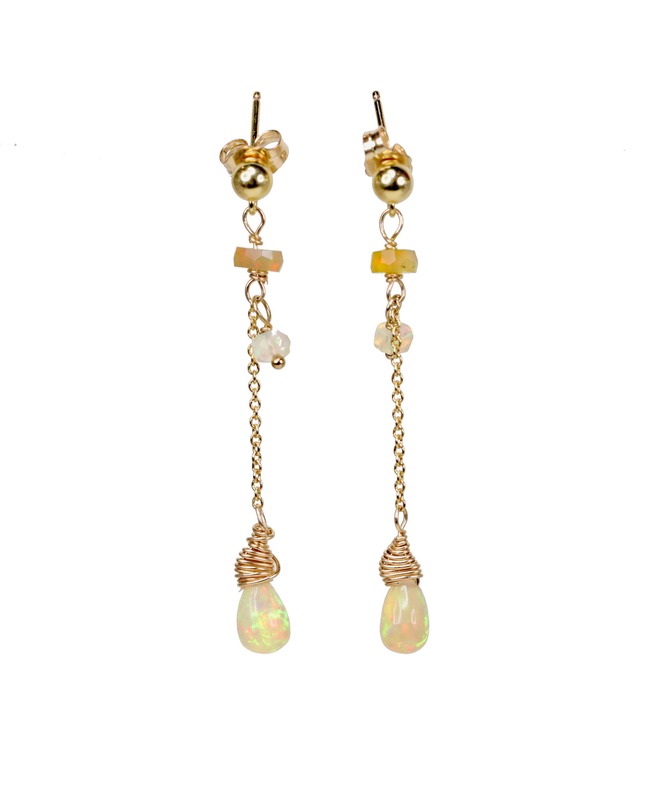 These earrings are elegant , feminine and kinetic with just enough length to accent the face and eyes.